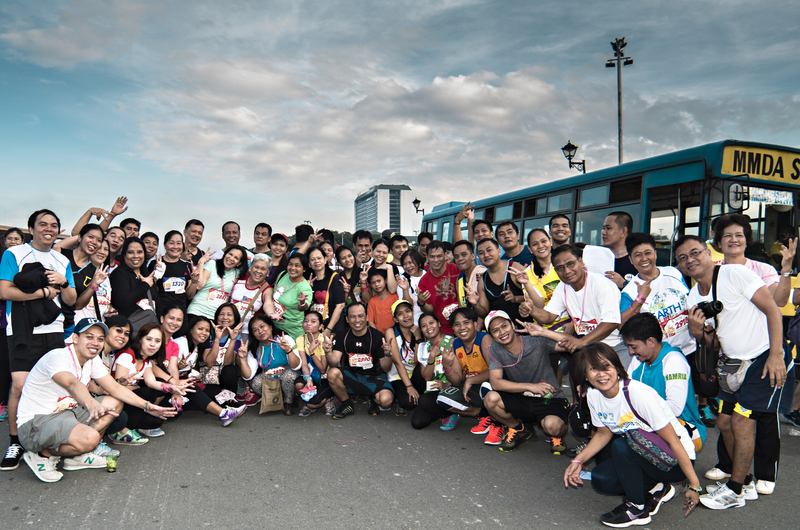 NAMRIA officials and employees joined the 115th Philippine Civil Service Anniversary fun run held at the Quirino Grandstand, Manila on 12 September 2015. The event dubbed as “R.A.C.E. to Serve 5 Fun Run: Responsive, Accessible, Courteous, and Effective Public Service” with the theme, “Kayang Kaya Mo, Lingkod Bayani!” aimed to promote, showcase, and celebrate heroism in public service; and to highlight stories of triumph and sacrifice among the men and women in the government. The proceeds of the fun run were turned over to the Pondong Pamanang Lingkod Bayani Program, that pays tribute to the public officials and employees who died during the performance or pursuit of functions, duties, and responsibilities. The NAMRIA runners participated in the 3-, 5-, and 10-kilometer distance runs. The event was organized by the Civil Service Commission-National Capital Region and sponsored by the Government Service Insurance System and Maynilad in partnership with the Philippine Sports Commission, Philippine National Police, Metropolitan Manila Development Authority, Cities of Pasay and Manila, National Parks Development Committee, and Department of Public Works and Highways-National Capital Region. More than 6,000 runners from the government and private sectors, colleges and universities, military and other non-governmental organizations participated in the event.